Buicks Rule...Go Fast With Class. Great looking car. If I were walking down the street and saw this car, I would definitely stop and stare. What a beauty! The red and white tires paired with the blue paint say, "American." Did Buick ever have a flat head motor? Really nice looking Buick. Are you sure it's a 49? Looks more like a 48 Sedanet. 48 & 49 Specials were very similar. Tag and title say 49. 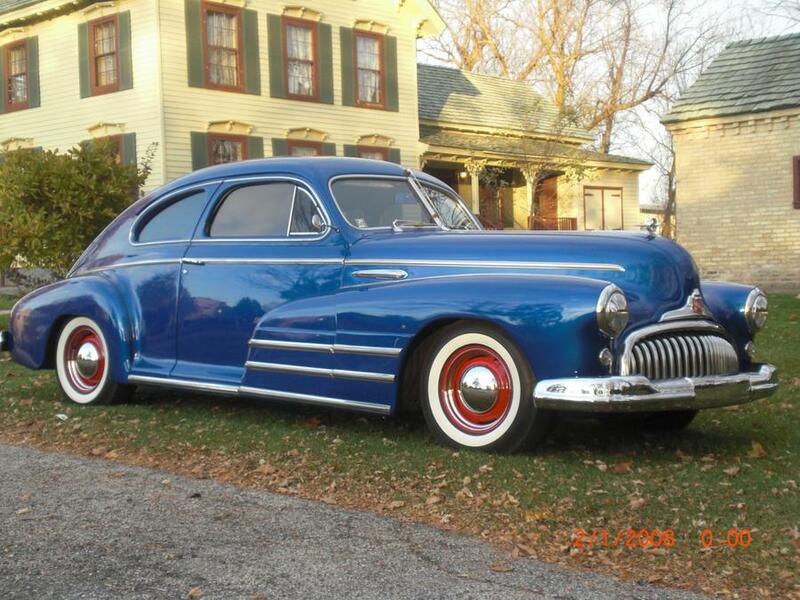 Kinda rare, since it was the cheapest model, and if you could afford a Buick in '49, you didn't buy a cheap one. I think I read less than 5000. The car shown is a early 49. Later in 49 Buick came out with a Special that looked like the super and roadmaster (with portholes). I think they called it Special Deluxe.